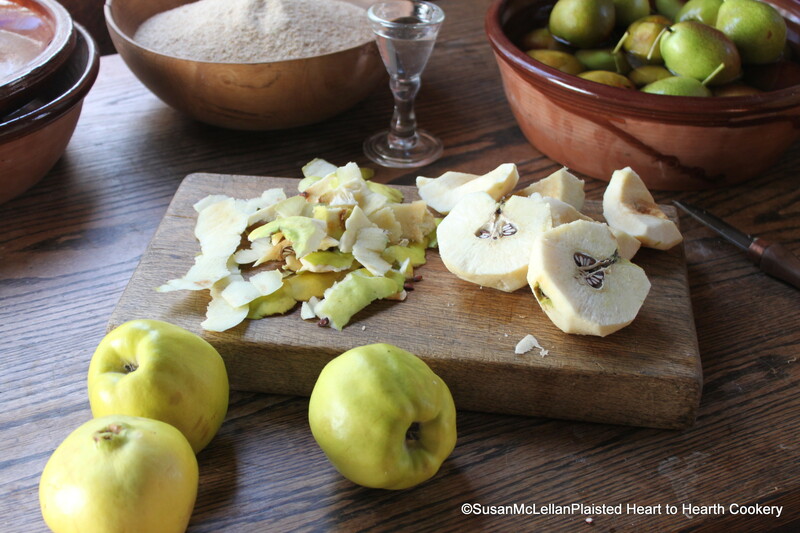 To make Quince Cakes the receipt (recipe) reads: Take…half a dozen Quinces par’d and cor’d. The yellowish quince has a firm exterior and the core of the quince is very hard. Quinces are wonderful – and you can use the fruit of the cultivated japonica too. Sadly we only had about three this year because of the awful weather, last year we had about 10 lbs!